The Eclipse VIATRA framework is a model and data transformation tool that helps move information back and forth in the most efficient way. The platform focuses specifically on event-driven and reactive transformations, which happen on-the-fly as the models change. a Java runtime library which is scalable and easy to embed. 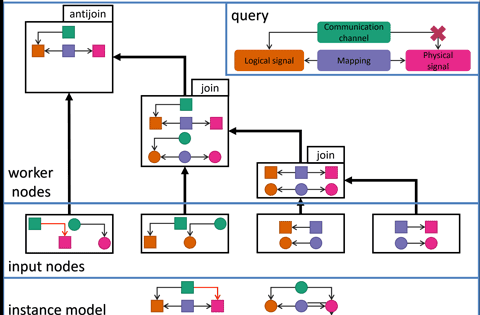 VIATRA primarily targets model-driven engineering tools based on the industry-standard Eclipse Modeling Framework, though it can be used in other contexts as well. VIATRA is an enabling technology and its biggest benefit is the power it gives you to close abstraction gaps. These exist in every data-driven application where structured data needs to be moved across various languages or representation formats. Changing of structure, i.e. converting a UML model to a source code. VIATRA 2.1.2 is out, fixing a few issues with the latest release. It is recommended for all users of VIATRA to update as soon as possible. Scalability is a core principle of VIATRA. VIATRA achieves scalability via incrementality. Built-in high-performant incremental algorithms enable saving time when a query or a transformation is run multiple times. VIATRA is well documented for both users and programmers through case studies, research papers and blogs. Every release goes through extensive QA testing performed automatically to ensure constant high-quality releases. Support is an important perk VIATRA developers receive. If you run into a problem in the development process, the VIATRA team is there to help you. 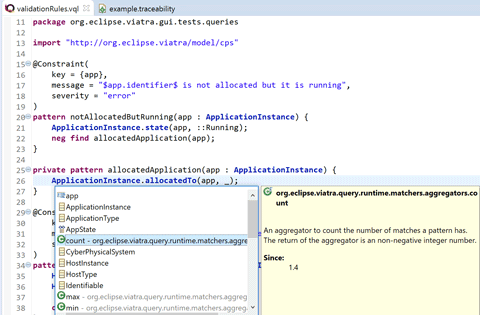 The VIATRA framework includes a powerful query development environment that includes a feature-rich editor for model queries, a code generator to ease integrating queries into Java applications. 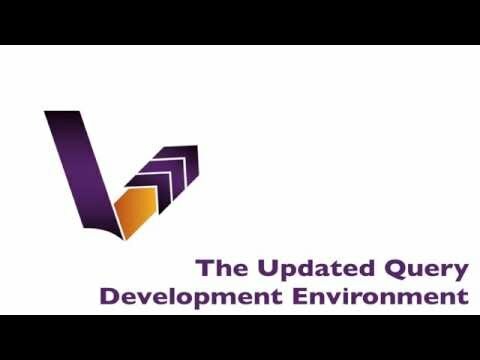 Furthermore, the environment also includes a set of views that collect and evaluate model queries under development them on different models, simplifying the development and debugging process. Further benefits to working with VIATRA? 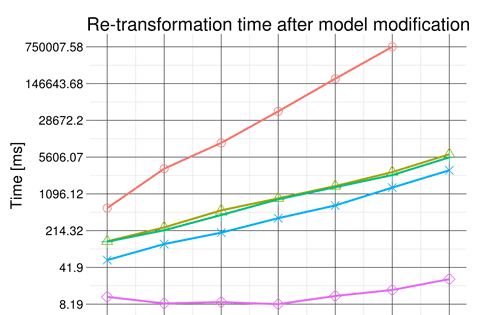 Trade-off between runtime, memory usage, incrementality. Build your custom tool based on VIATRA. Well designed APIs and IDE integration.